Austria is preparing to turn to the right after parliamentary elections held on Sunday, where conservatives led by Sebastian Kurz won 31.6% of the vote, according to projections known at the close of the election. The result implies a growth of almost 8 percentage points for the People Party of Austria (ÖVP) compared to the previous elections in 2013. The right-wing extremists of the Austrian Freedom Party (FPÖ) grew considerably and according to these voting forecasts real 26% (2013: 20.5%), while social-democracy (SPÖ) of the current Chancellor Christan Kern, 51, defends the second place with 26.9% (2013: 26.8%). Surveys have now been the winner for months to current Foreign Minister Kurz, barely 31 years old. The politician defends a strict immigration policy and wants that the illegal arrival of immigrants is reduced to zero. The leader of the FPÖ, Heinz-Christian Strache, 48, spoke during the campaign for Austria to join the Group of Visegrad (comprising Poland, Hungary, Slovakia and the Czech Republic) in favor of a restrictive migration policy and the defense of national interests. The FPÖ could reach the Executive. After the collapse of the current coalition between conservatives and Social Democrats in May and the bad relationship between Kurz and Kern, it is certain that an alliance of this type will not be repeated, so that the far right could now reach the allied government with the ÖVP. The elections had to be anticipated by the split between ÖVP and SPÖ since it should have originally been voted within a year. After their record support of 12.4% four years ago, the Greens lost this time the favor of the voters and would only have a 3.8% that would not allow them to enter Parliament. Neos liberals would add 5.1% (2013: 5.0%) and the list of dissident green Peter Pilz – which was first presented – would get 4.3%. In Austria, you must have a minimum of 4% support to enter the Legislature. This fall of the ecologists takes place almost a year after the exlíder of the Greens Alexander Van der Bellen obtained the Austrian presidency before the ultranationalist Norbert Hofer. 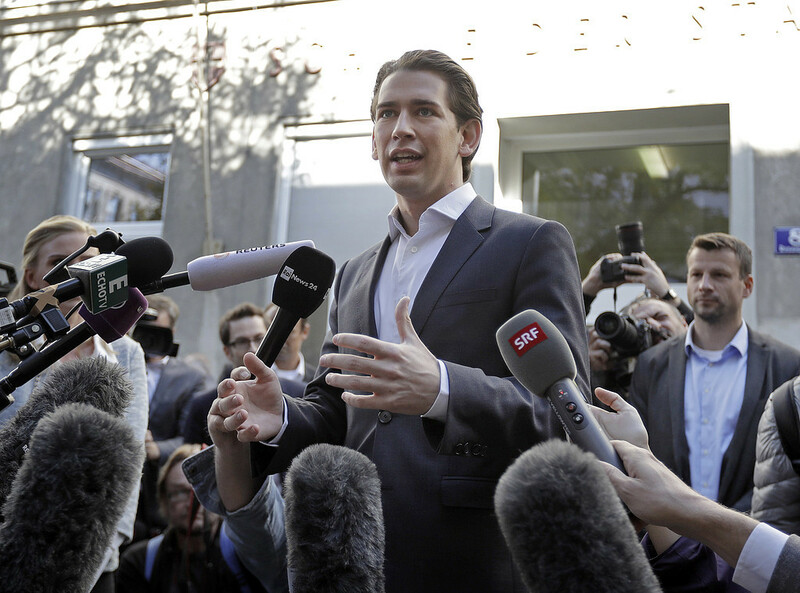 Van der Bellen has already advanced that will give the order to form Government to Sebastian Kurz. If a government is formed between conservatives and right-wing populists, Austria will take a completely different position from Germany and France in terms of migration and reform of the European Union. Kurz and Strache agree that the EU should be limited to very specific tasks and migratory level are aligned with the thesis of rejection of the arrival of refugees of Hungarian Prime Minister Viktor Orban. The electoral process was clouded in recent days by a campaign of defamation launched from the SPÖ. Apparently, without the knowledge of the Social Democratic leadership, a well-known international specialist in “dirty campaigns” created two fake Facebook accounts that sought to harm Sebastian Kurz with anti-Semitic and racist content. For its part, the SPÖ accused the Popular Party of trying to access internal documents of the party by bribes. The two groups filed complaints before the courts.